Saitoh was one of the most anticipated guests at this year’s Japan Cuts Film Festival (now in its 12th year), bringing with him two films -- a Singapore-Japan collaboration movie, "Ramen Shop," in which he plays the leading role, and the other, his directorial debut, "Blank 13." While not exactly typecast as an actor, recent perceptions of Saitoh may have leaned towards those of an erotogenic, mature man of few words with a great physique -- the perfect secret lover -- perhaps stemming from his role in the TV show and later film, "Hirugao: Love Affairs in the Afternoon” (during which audiences got to see plenty of said physique). 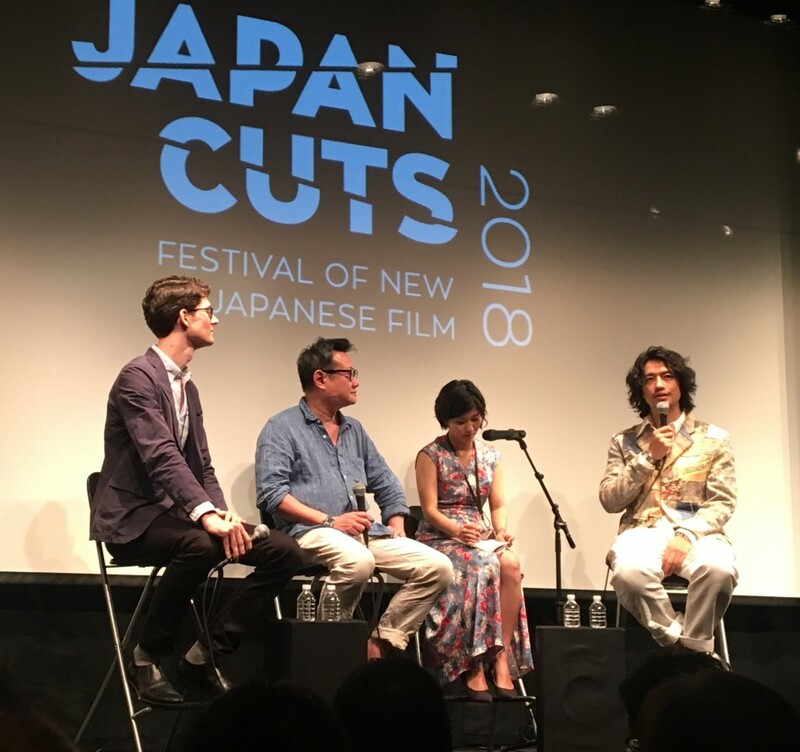 During post-screening Q&As at the festival however, Saitoh revealed that he is much more than this, to this audience member at least, and despite sporting a floral embroidered suit for the first screening and cassock inspired one-piece outfit for the second, the actor-director’s manner appeared to this attendee as soft-spoken and scholarly. As usual, the host would first bring the guest to greet the audience briefly before the screening, then after the screening host and guest would return to the stage for a Q&A session. The opening film at this year's festival, "Ramen Shop" tells the story of how a child (Saitoh) of a Japanese father and Singaporean mother (played by Jeanette Aw), who grew up in Japan, returned to Singapore after his father's death to seek out the genuine taste of Bak-Kut-Teh (pork bone soup) and reconcile with his remaining family by enlisting the help of a local Japanese food blogger (played by Seiko Matsuda). The film touches on topics such as inter-cultural conflicts and the impact of WWII on younger generations, but eventually falls on the platitude of an emotional reunion while the discussion on the reason of estrangement remained unresolved. While some audience members also voiced concerns that the film starts slowly, “Ramen Shop” picks up significantly in the latter half with some hilarious and heartwarming moments. "Ramen Shop" director, Eric Khoo, and lead, Saitoh, were both present for the post-screening Q&A, taking questions from host and members of the audience. Khoo joked about first meeting Saitoh after the latter won Best New Director Award for "Blank 13" at the Shanghai Film Festival. When the two met, Khoo asked Saitoh how long it took to shoot the film with Saitoh responding, “One week." "I like you," remarked Khoo with a laugh. During breaks in the shooting of “Ramen Shop” Saitoh and Matsuda would explore Singapore together, the pair bonding over a shared appreciation for the local cuisine. When asked about the biggest difference between the film industry in Japan and Singapore, Saitoh confessed to being amazed upon learning that he only needed to work 10 hours a day in Singapore, allowing him to use the rest of the time to reflect on the character and have a good rest. "Such terms would be impossible in Japan," said the actor. 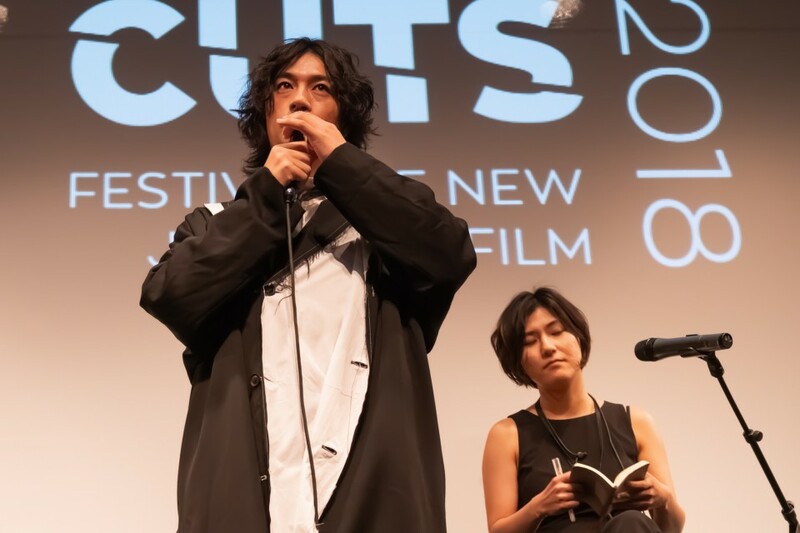 Saitoh assumed directorial duties for the second of his screenings at the Japan Cuts Film Festival, that of “Blank 13,” appearing relaxed as he introduced himself as the film’s director before the sold-out audience and expressing, in English, his appreciation for the viewers. “Blank 13” opens with a funeral scene in which the deceased shares the same last name as a wealthier deceased man in a nearby temple. People mistaking the former, whose funeral is held in a small, low rise mourning hall, for that of latter the rich man. What follows is a film which moves between past and present, looking back on a destitute family of four hiding out in a shabby apartment from yakuza gangsters hired to collect on father, Masato Matsuda’s debts. One night Matsuda (Lily Franky) goes out for a pack of cigarettes, never to return leaving the mother (Misuzu Kanno) having to take on several jobs to support their two sons Yoshiyuki (Saito) and Koji (Issey Takahashi) who grow up estranged from their father. Years later Matsuda, dying of cancer, comes back into the lives of the two brothers. The film eventually returns to the scene of the funeral during which Yoshiyuki and Koji discover the real soul of their father, beyond those cowardly years of escaping from debts, through a series of ridiculous skits played out by Matsuda’s zany buddies who have come as mourners to the funeral. Saitoh received a big round of applause when he returned to the stage for the “Blank 13” Q&A. When asked about his first experience as a feature film director, Saitoh told of how he values an actor’s first take and avoids doing too many takes, as it may lead to overacting which hurts the quality of expression. That was also the reason why the film only took a week to shoot and the script-less funeral scene only took a day and a half. He also mentioned how much help and advice he received from his friend who wrote the music for the film, even re-adjusting the pace of film to sync with the beat of the score. Saitoh displayed his sense of humor when an audience member from China told him she went to see "Hirugao: Love Affairs in the Afternoon" in Shanghai last year with a guy who she just started dating and it was incredibly awkward (due to the amount of graphic sexual scenes in the film). After sitting in silence for a while Saitoh slowly replied in English, "I was naked in that movie. I'm so sorry." The audience burst into laughter. Another audience member asked him where he would go sightseeing in New York City, the director telling her that he was actually leaving in seven hours but felt content simply watching the pedestrians on the street. "Everyone seemed to be so independent and has his own identity." he said. “I then asked myself, what my identity is like? This is something I will keep trying to find out." He subsequently asked the girl where she would recommend going next time he comes back to the city, to which she wittily replied, “I’ll tell you next time you come back to NYC." Japan Cuts Film Festival 2018, the largest festival of contemporary Japanese cinema in North America, runs from July 19 to 29.